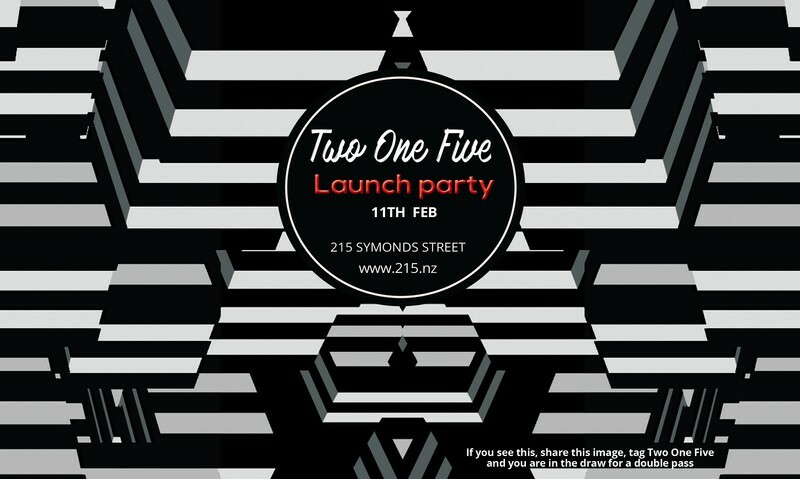 Two One Five invites you to join us for our first official event within our new space. This night is about celebration. A starting point for many a good time. An indulgence of good music, great company and refreshing beverages. So join us and mark this occasion as one to remember. Check out our about section on our site www.215.nz or page to learn a little more about what's coming in the near future. Look forward to seeing you there.